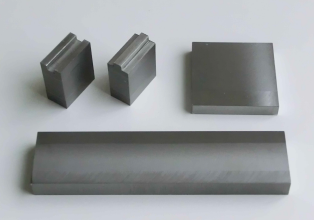 Clad metal｜TAKEFU SPECIAL STEEL CO., LTD.
Is mainly used for single edge kitchen knives, scissors, chisels, planes, and other carpentry tools. 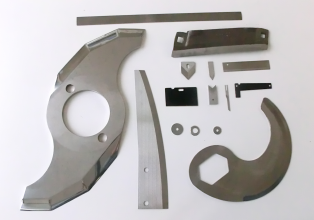 It can also be used for industrial blade with good cutting and processing performance. Is the most popular for kitchen knives. The combination of high-quality steel and better cost base cladding material has excellent cutting, toughness and cost performance. Has different characteristic of more than two types of metal clad alternatively in repeated layers. The unique pattern is called Damascus pattern, and no two knives are exactly same one. Mainly used for kitchen knives and interior construction. 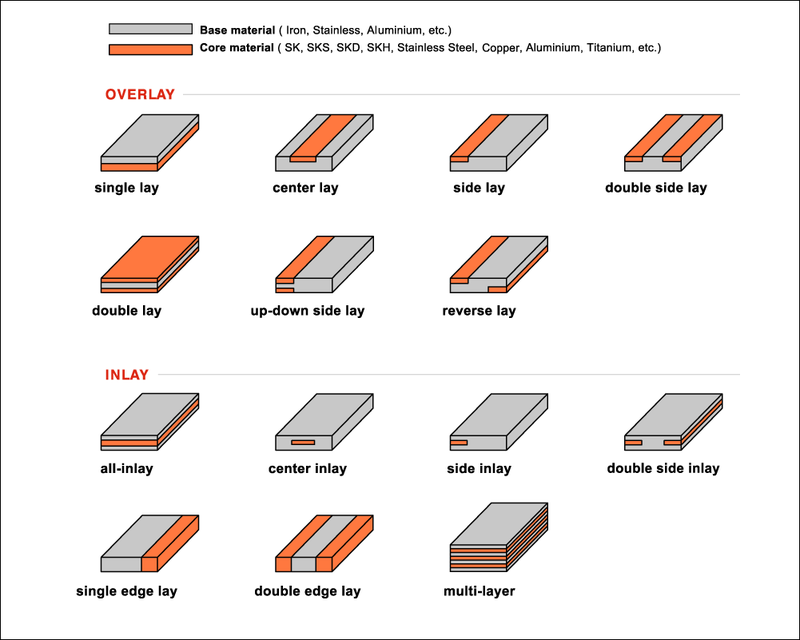 Two type of metal clad alternately in layers. After forging, it has excellent cutting, durability, and toughness. 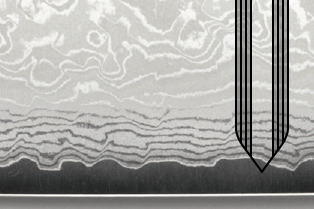 Pattern goes right to the edge as revolutionary material. 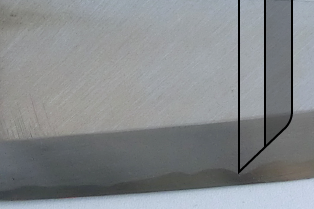 Stainless blade steel core is clad with titanium, 3ply spec. Naturally sharp, high corrosion resistance and lightness are the combined properties, good for knives and large-scale blades. 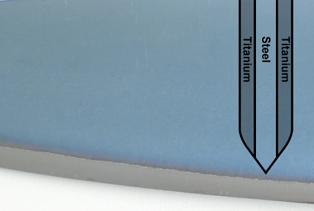 It is difficult for titanium to be used as a blade steel. 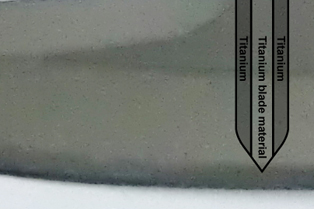 Titanium alloy core is clad as in 3-ply spec. Its greatest properties are high corrosion resistance and lightness. 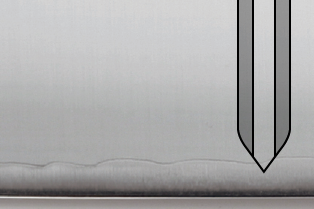 This is improved corrosion resistance and wear resistance after the blade steel is clad with soft stainless steel. This gives longer working life and easy maintenance properties. 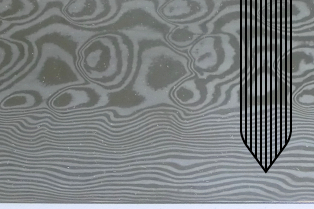 Different clad metal types achieve wear resistance and high toughness, cladded different type metals achieved durability of the mould up to 30~300% up. There are variety advantages for mold costs and maintenance property. 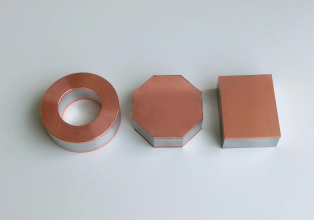 The electrical conductivity property of CUPPER and lightness Aluminum are popularly used for anodized electrode material. 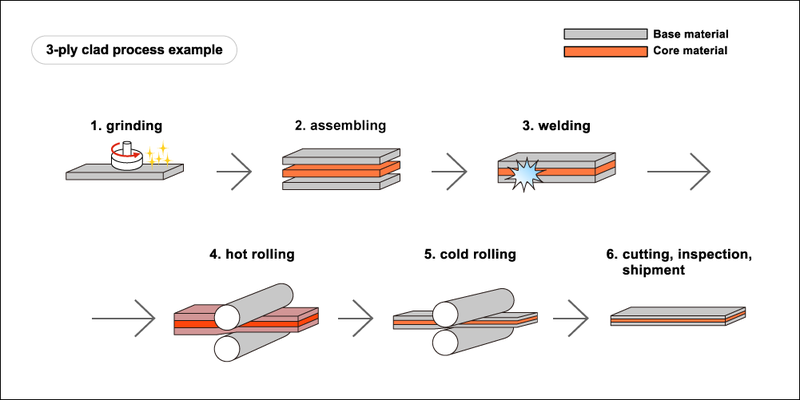 We have ability to roll to 30mm thickness. 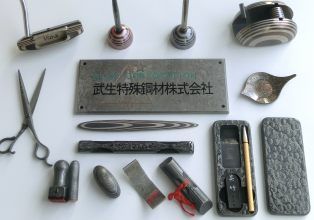 Predominantly multi-layer material widely utilized, for golf putter head, interior products, high-end stationary, stamp material, paperweights, and name plates. Various materials are cladded as required. 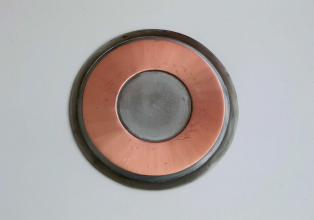 Thermal conductivity by Cupper, Lightness by aluminum, Stiffness and Lightness by Titanium, are used for professional hotplate and induction heating cooking ware.